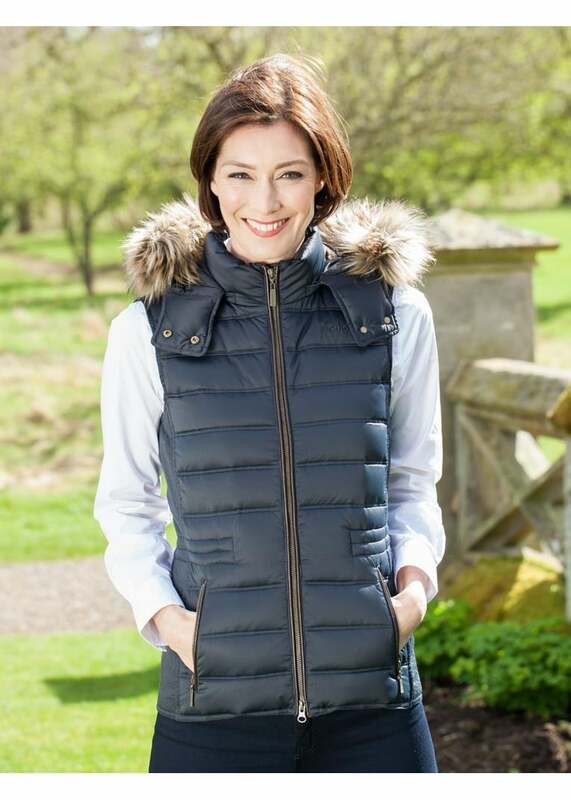 Schoffel's Chelsea Down Gilet with Hood is a stylish addition to any woman's wardrobe. Schoffel's Chelsea Down Gilet with Hood is a stylish addition to any woman's wardrobe. Crafted with ethically sourced down and finished with water repellent fabric, this gilet is a great extra layer in a very fitted and flattering design. When buying a Chelsea Down Gilet please bear in mind this is a slimmer fitting gilet and in some cases you may need to go up a size.